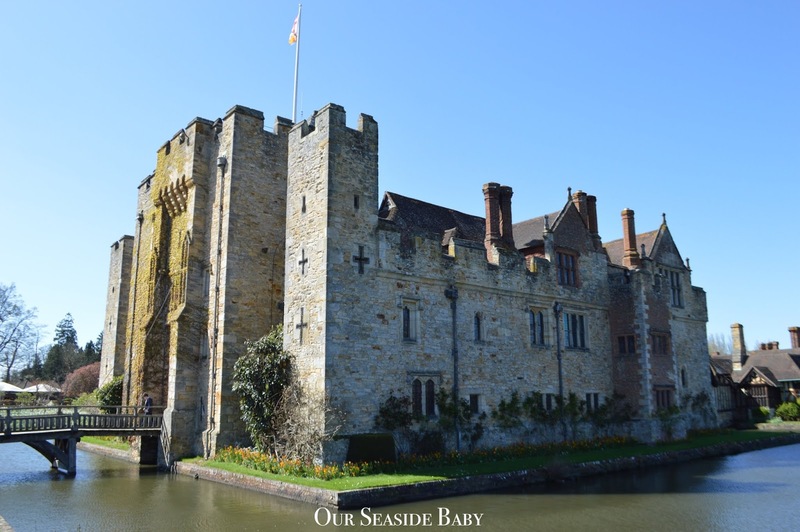 The Castle was built in 1270 and was the childhood home of Anne Boleyn who became queen when she married King Henry VIII in 1533. As his second wife she ended up being beheaded, poor woman! 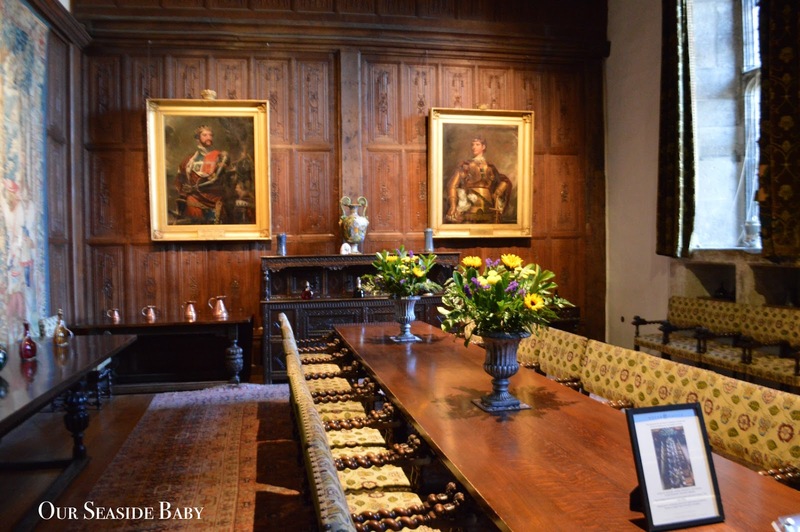 The Castle itself is beautiful and inside most of the rooms have been restored to what they once looked like. 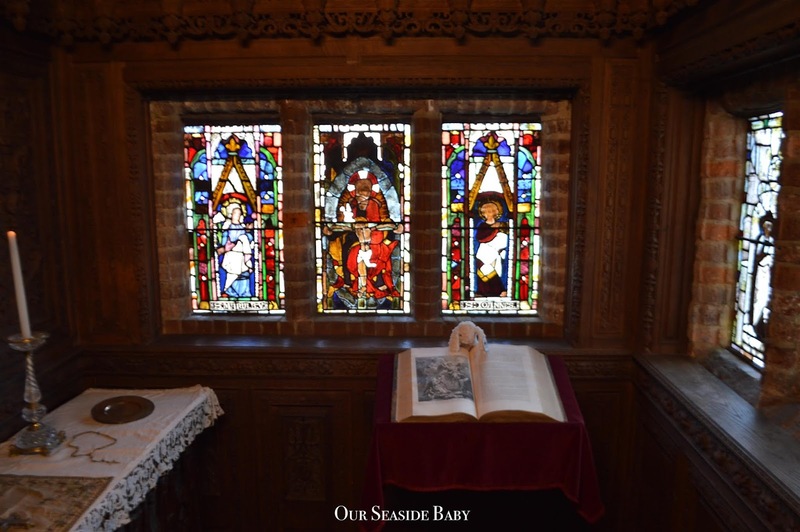 In each room there are models, tapestries, antiques, furniture and reconstructed stories of the past. 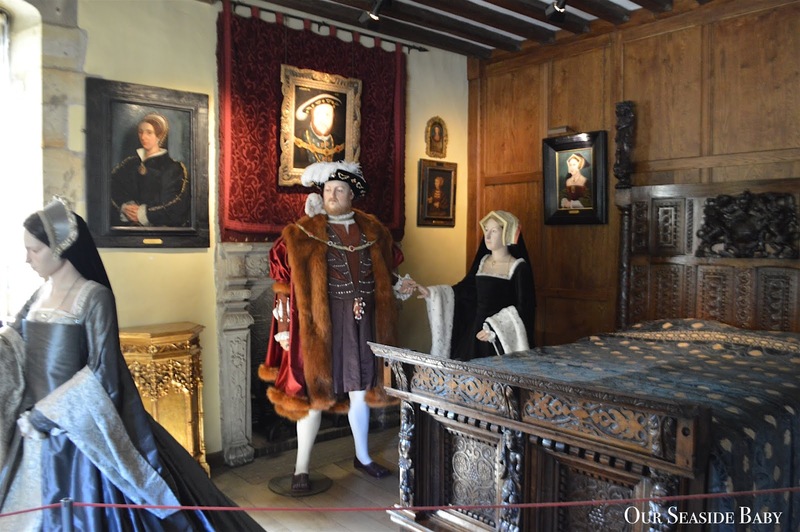 As well as Anne Boleyn’s bedroom there is also the bedchamber where it is believed that Henry VIII stayed in when visiting. To keep the kids amused there was also an Easter Bunny Hunt in every single room where children had to find the hidden bunny. Despite no prize at the end, Pip had a great time spotting the bunny in a cabinet display or sometimes on the shoulders of King Henry VIII (in the photo above)! Spot the bunny in the photo below too! 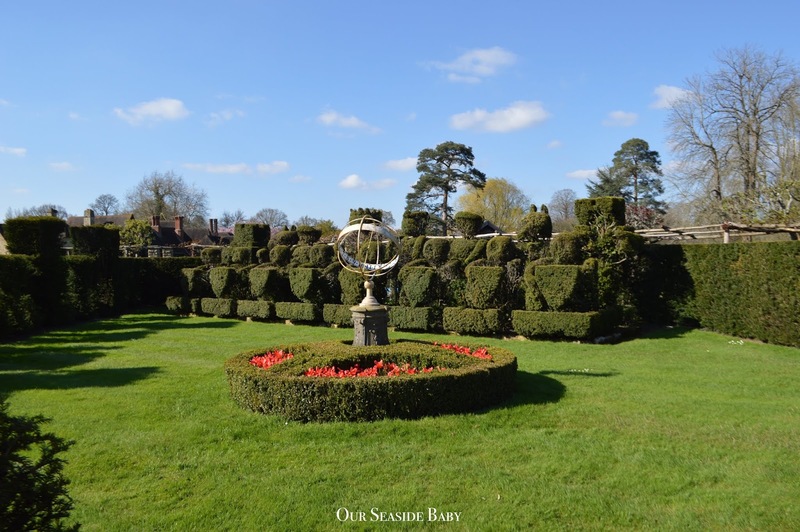 The grounds of Hever Castle are just as stunning and it’s worth visiting just for them! 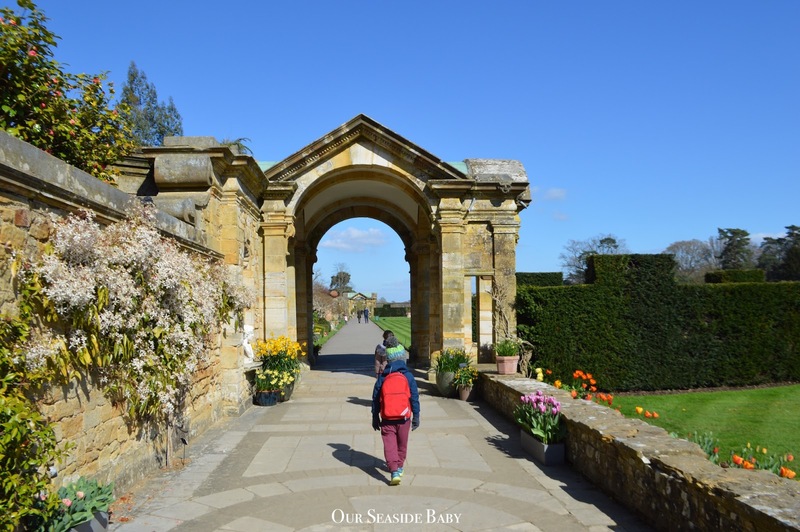 There are 125 acres of grounds across Hever Castle and this includes the beautiful views across the lake and Italian, Rose and Tudor gardens. We visited the maze just outside the castle which is actually the first maze Pip has ever entered! 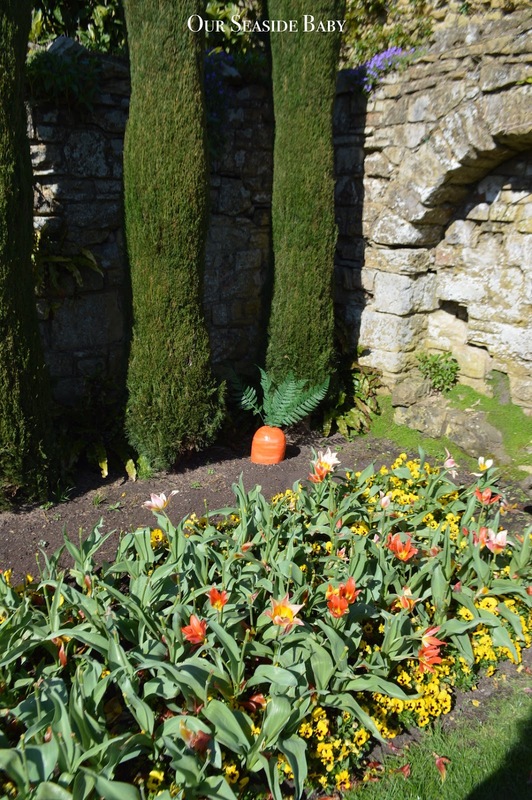 Although we completed one Easter hunt in the castle the kids were keen to do the outside carrot trail Easter hunt where we had to find and count the carrots hidden around the grounds. From the Castle we walked down to the lake, walking through the Italian Garden on the way. 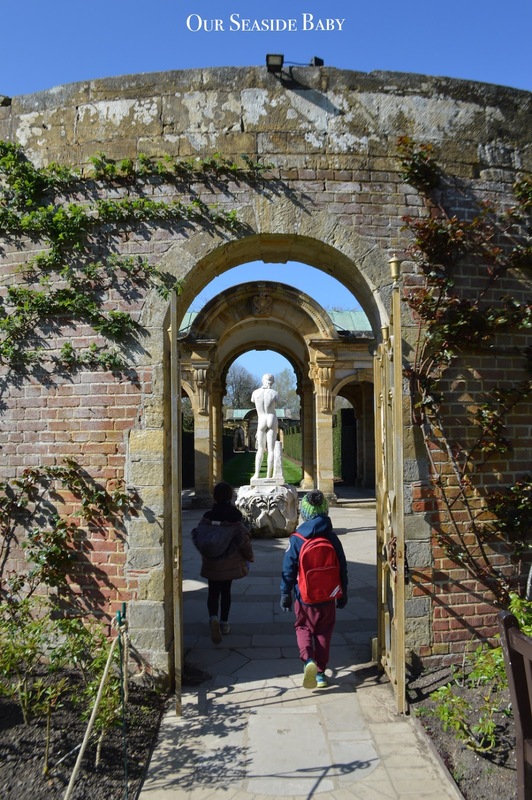 With Italian features including a Pompeiian Wall, Sunken Garden and a Loggia complete with colonnades and a piazza all surrounded by beautiful flowers, you would not know you were in England at all! In fact, I would return for this garden alone. It is stunning and bought back lots of memories of Italy. Next to the lake this is also a fountain inspired by the famous Trevi Fountain in Rome! 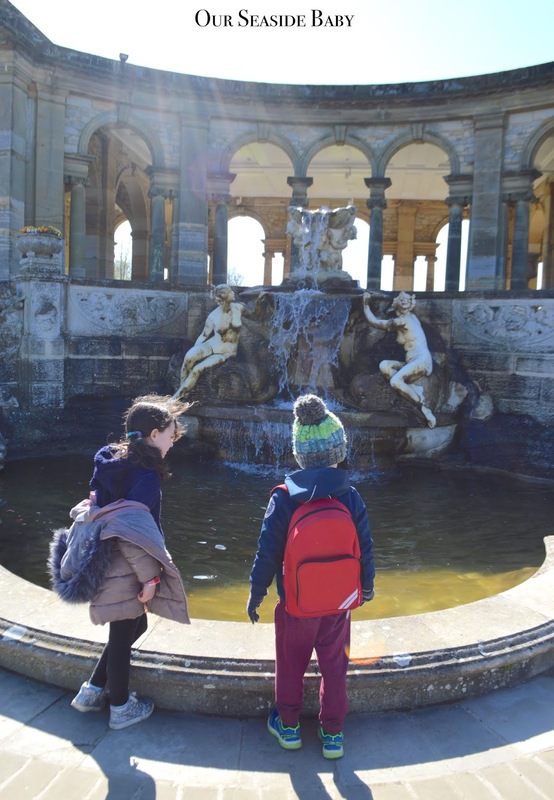 Apart from the Easter hunts, Castle & Lake we also visited the three activity areas for children. They are located next to one another near to the main entrance. 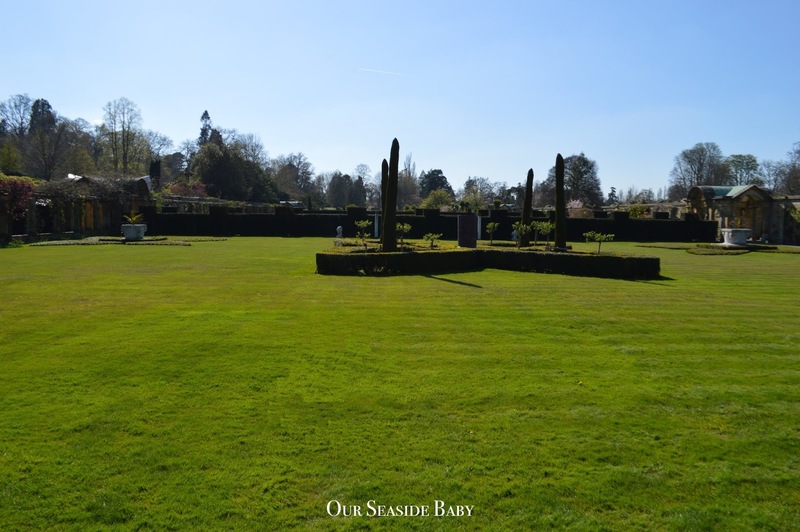 The Acorn Dell is a natural play area including a giant sandpit, grassy mound, tunnels, climbing frame and slide. 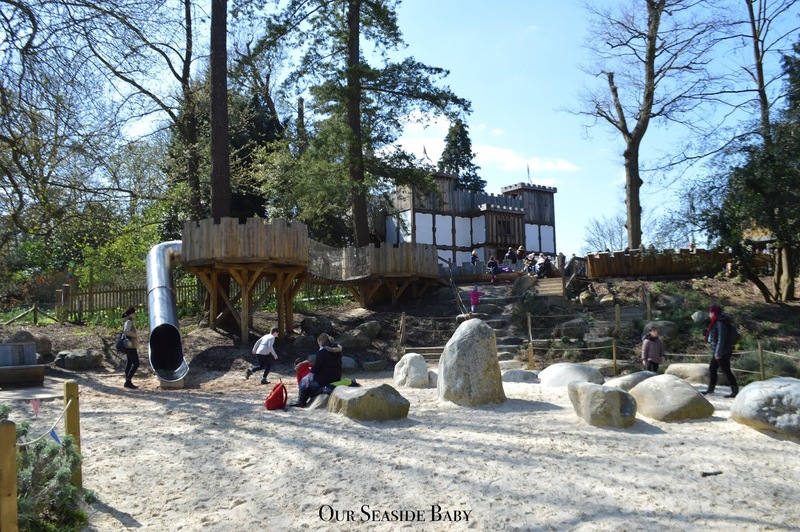 Next door is the Tudor Towers Adventure Playground which is a big wooden structure that kids can run around in. 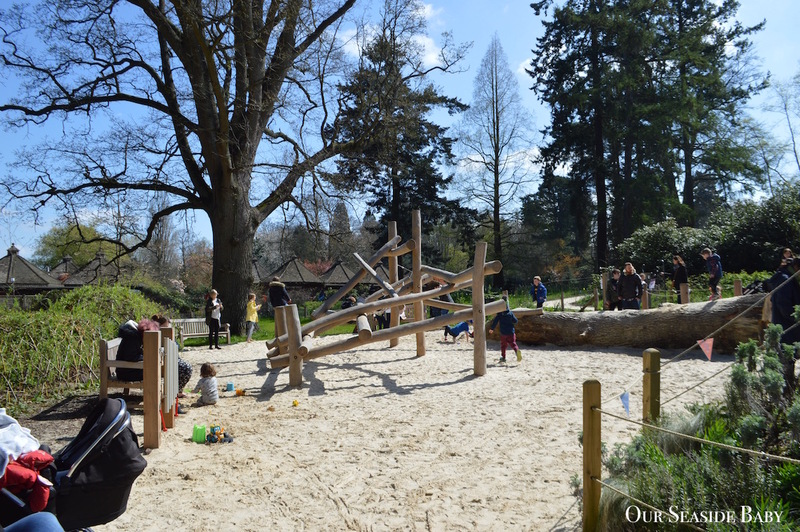 Next door is another outdoor playground with swings, slide and climbing frame. 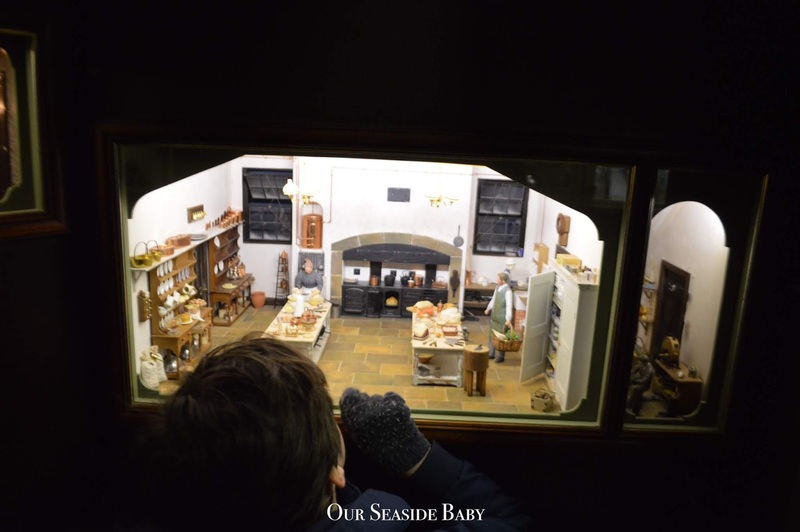 At the end of the day we visited the gift shop and inside is the intriguing gallery of miniature model houses. I loved these and Pip was fascinated by them. 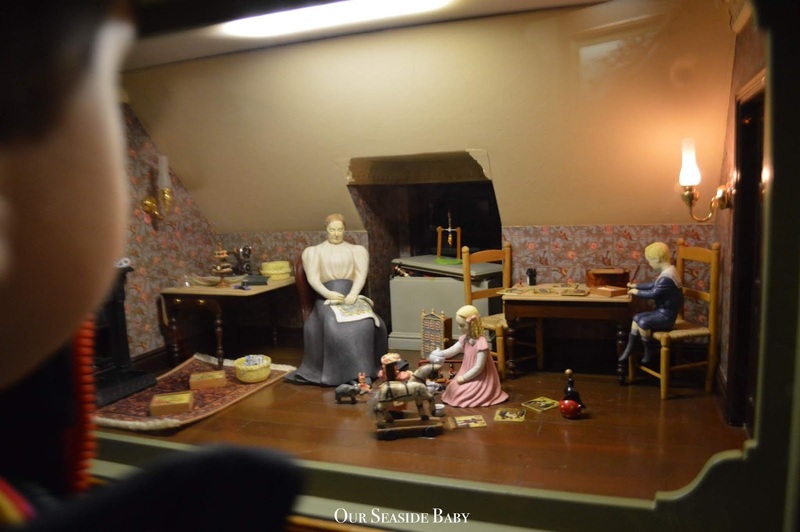 Inside each house model contained the most intricately designed miniature people and furniture. It was amazing to appear into these little models of reconstructed life. I'm sure this gallery would appeal to all Doll's House enthusiasts! 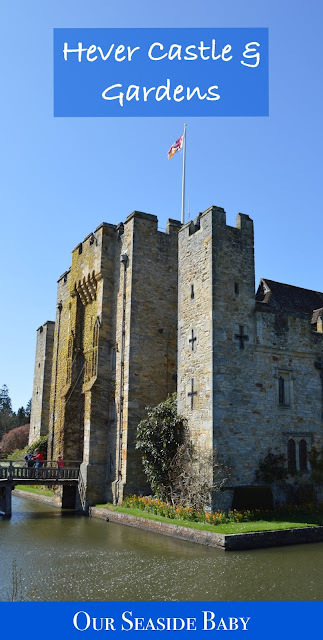 All in all we had a lovely day out and there was a lot more to Hever Castle than I imagined. We didn’t have time to visit the KSY military museum, the Japanese Tea House or take the long walk around the lake but it would be great to visit again in the summer. 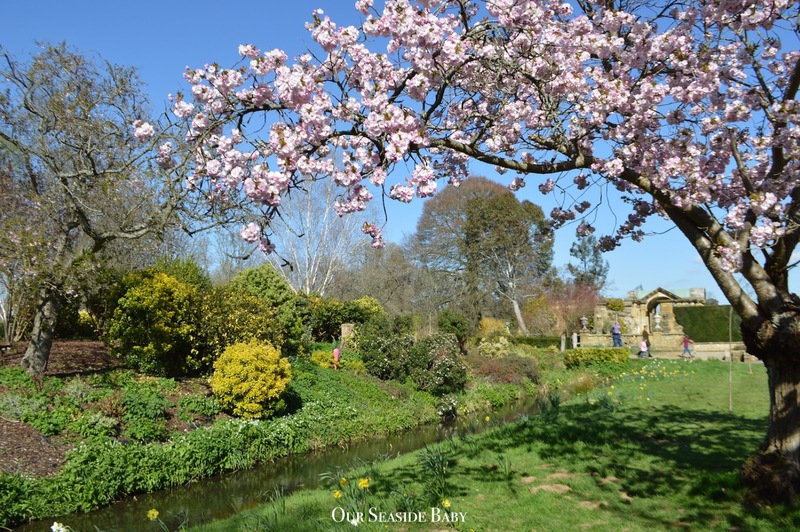 The Easter Family Fun runs until 22 April and includes the Castle Bunny Hunt, Colourful Carrots Easter Hunt, face painting, Bonnet Making Workshop and the Best Bonnet Competition. 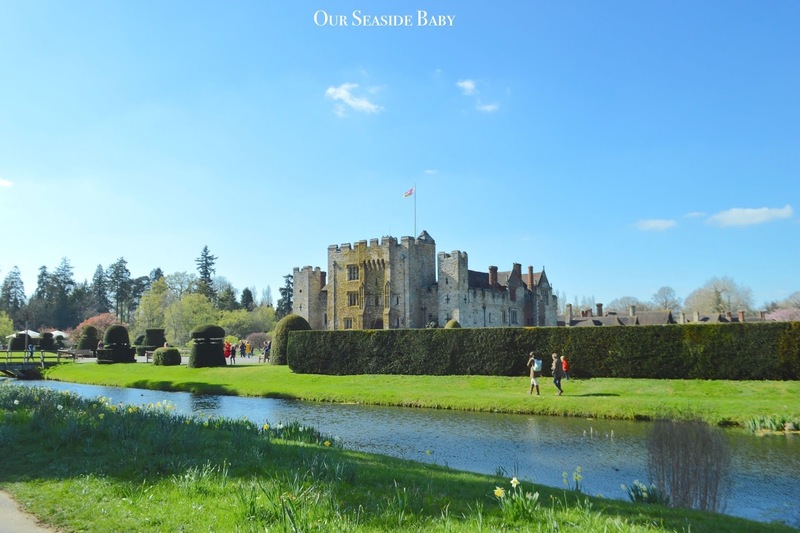 There are also events throughout the year including the May Day Festival, Father's Day Weekend, Jousting events and more. See their website for more details. 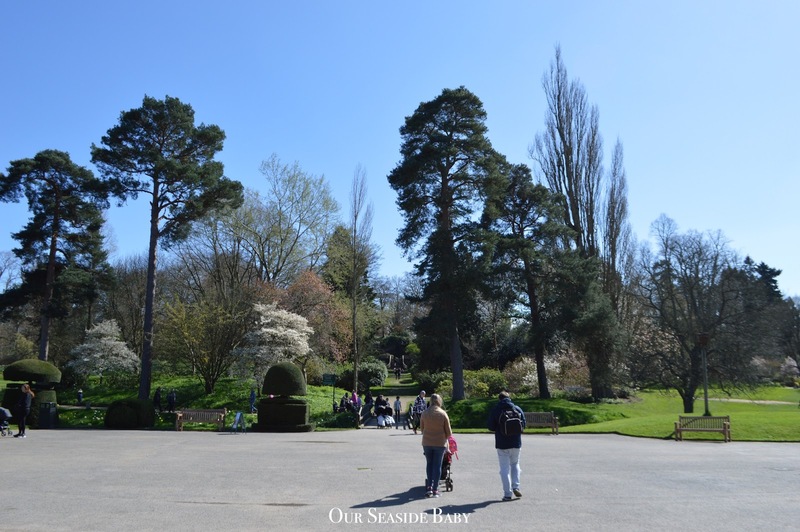 The best cities to visit in England! * Many thanks to Hever Castle for providing guest tickets! This is a sponsored post. All words and opinions are my own.